Hello friends! 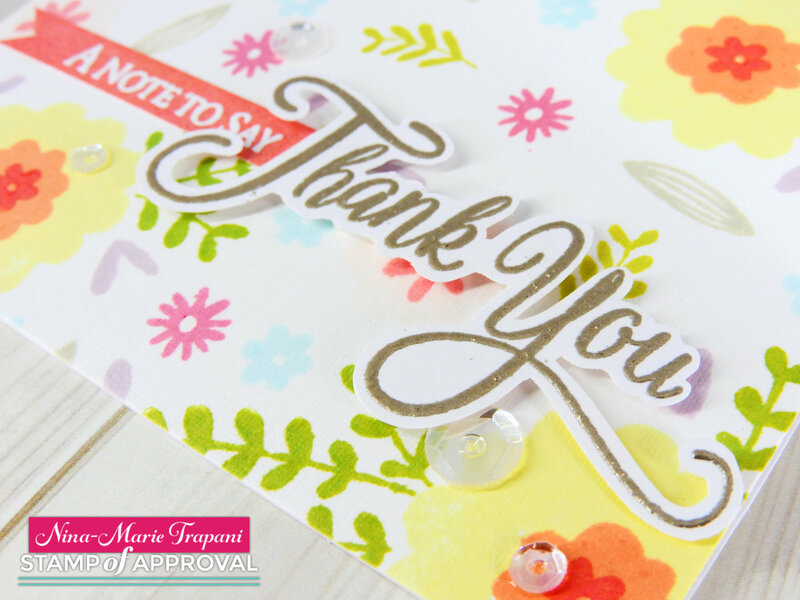 Welcome to my stop of the Stamp of Approval Lovely Notes collection blog hop! If you’ve never heard of Stamp of Approval, let me tell you a bit about them! 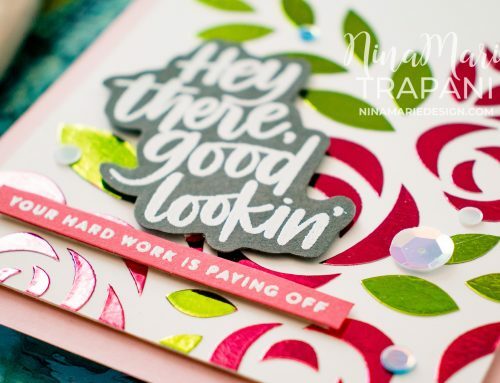 Stamp of Approval collections are a special box of stamps and dies that released quarterly; inside the box of goodness, you’ll receive a variety of products that will give you TONS of stamping and die cutting fun! 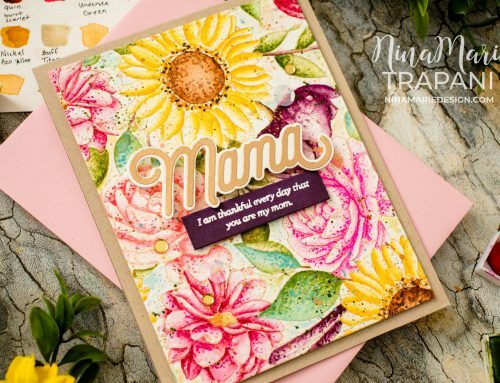 These collections sell out really quick, and this Lovely Notes collection will be released on July 13th. 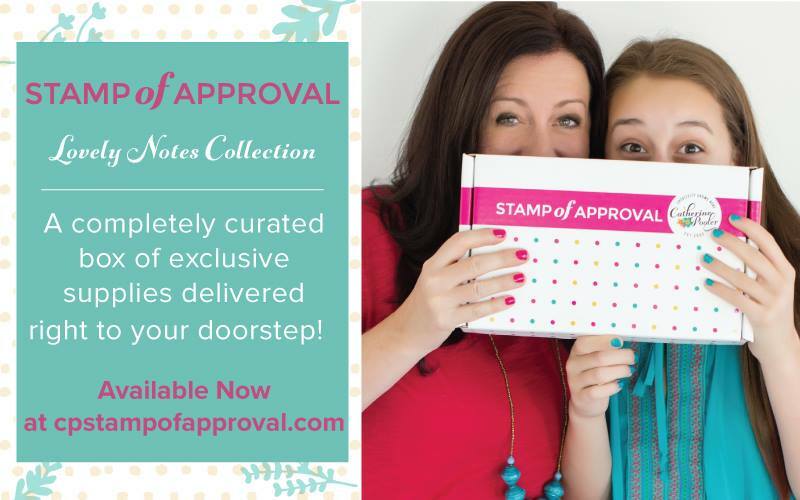 The best way to make sure you get YOUR Stamp of Approval box, head on over to Catherine Pooler’s website (the founder of Stamp of Approval) to sign up on the Waiting List. Wait List members will receive an email notification when the box goes up for sale; as an added bonus, the email notification gets sent to Wait List members one hour before the collection is released to the general public! So make sure you take advantage of the perks and sign up for the Waiting List so that you don’t miss out on your Stamp of Approval box! 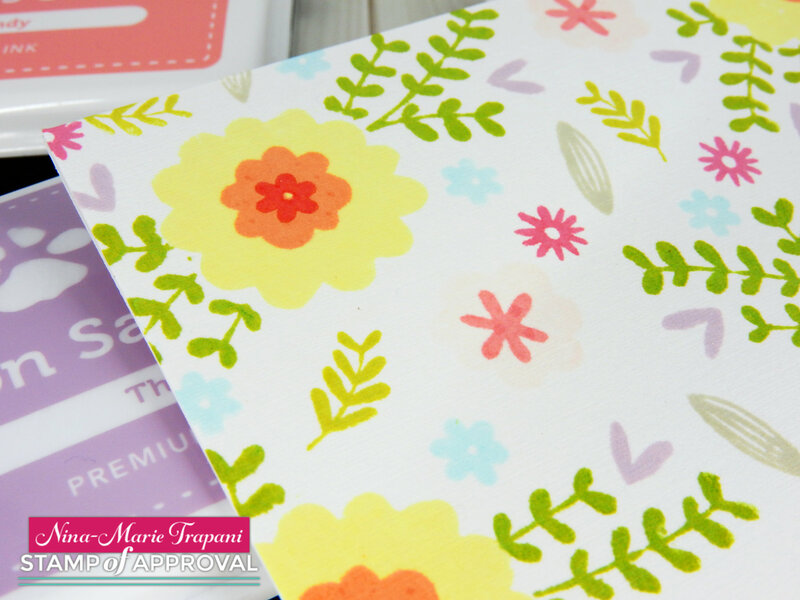 So now let’s check out the cards I created for the blog hop using the newest Stamp of Approval stamps and dies! My first card features the Concentric Circles die and Painted Thanks stamp set; both sets are designed in collaboration with Neat & Tangled. Don’t you just love the stunning design of the Concentric Circle die?? 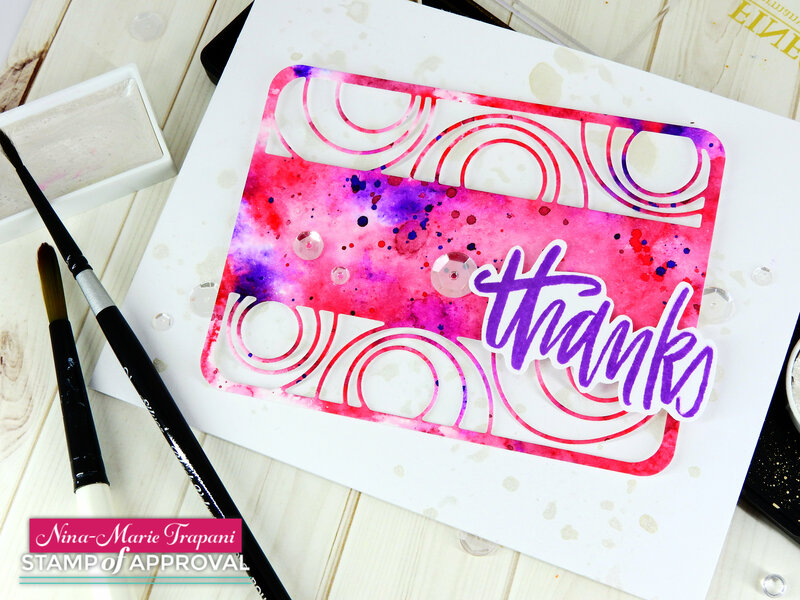 I decided to create a watercolor background using Ken Oliver Color Bursts that I later cut with the Concentric Circles die to create a gorgeous, multicolored background! The Color Bursts are a powder pigment that react and spread out when they come in contact with water; just sprinkle the powder onto your paper and spritz with water… and the powders come to life! I popped my Concetric Circles watercolor panel up off of a white card base with I had splattered with white gold watercolors using the Finetec gold mica paint set. I also layered the Painted Thanks sentiment onto the panel (stamped with purple dye ink from Altenew), along with Pretty Pink Posh Sparkling Clear sequins. 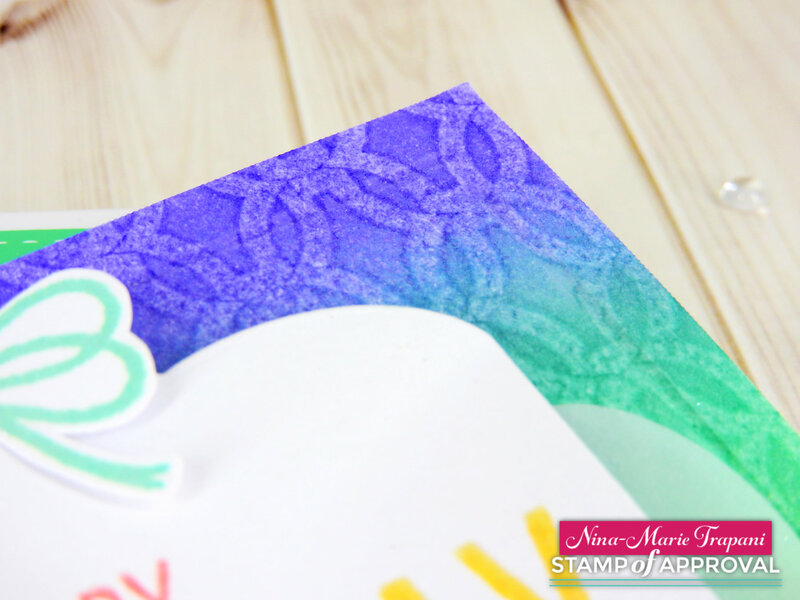 My second card features the Fill in the Blanks and Wonderful Wreath stamp sets, the Lovely Lattice background stamp and the Lovely Flowers die set; I’ve paired them all together to create a colorful and VERY happy birthday card! 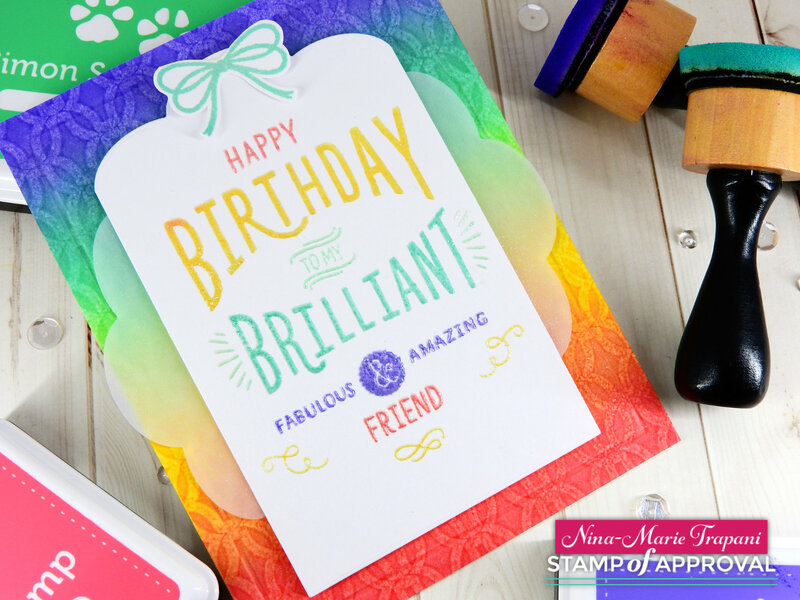 For this card, I started off by using my MISTI stamping tool and the Fill in the Blanks stamp set; I stamped each word of the large sentiment in a different color of ink to create a rainbow effect. The reason I stamped this with the MISTI is because I wanted to make sure each word stayed in their original place. I also wanted to be able to stamp back over top of the sentiment with embossing ink so that I could clear heat emboss it. Stamping each word in a different ink color is actually quite simple; just mask off the words above and/or below the word you are about to ink up and repeat this until all the words have been stamped onto your paper. For this card, the sentiment is stamped onto white card stock that was die cut using the frame die from the Lovely Flowers die set. After the sentiment area was finished, I used the same dye ink colors that I used for the sentiment to create an ink blended rainbow background! I first stamped the Lattice Background onto my cardstock using clear embossing ink; however, I did not do any heat embossing. I just wanted to have the clear stamped impression because this was going to create a tone-on-tone effect for the background; I applied the dye inks onto the paper using ink blending foams. As the ink was blended onto the paper, the clear stamped lattice design began to appear, like a watermark. I love how this creates a stunning look to the background without being distracting. To finish off this card, I scored a simple border around the edges of the card and layered some vellum under my sentiment panel (die cut with the same frame used for the sentiment panel); the entire sentiment panel was then popped up off my ink blended card using foam tape. For one final touch I used the bow stamp from Wonderful Wreath and popped that onto the top of the sentiment panel. Finally, my third card I have to share with you features the gorgeous Lovely Flowers stamp set, along with some sentiments from Butterfly Notes. For this card I wanted to use the floral building images from Lovely Flowers to create a pretty background. To do my stamping, I used a variety of dye inks from Hero Arts and Simon Says Stamp; all of the ink colors are listed in the products section at the bottom of this post. For the largest flowers, I layered up multiple images to create more dimension. After my background was stamped, I heat embossed my sentiment in Platinum embossing powder; I fussy cut it out before layering it onto the card using foam tape. I also finished off the sentiment with a supporting one stamped onto a piece of cardstock (colored with pink ink used in the floral stamping). For a final finishing touch on this card, I scattered a few Sparkling Clear sequins from Pretty Pink Posh around the sentiment; I love how that small amount of shine dresses up the design so perfectly! 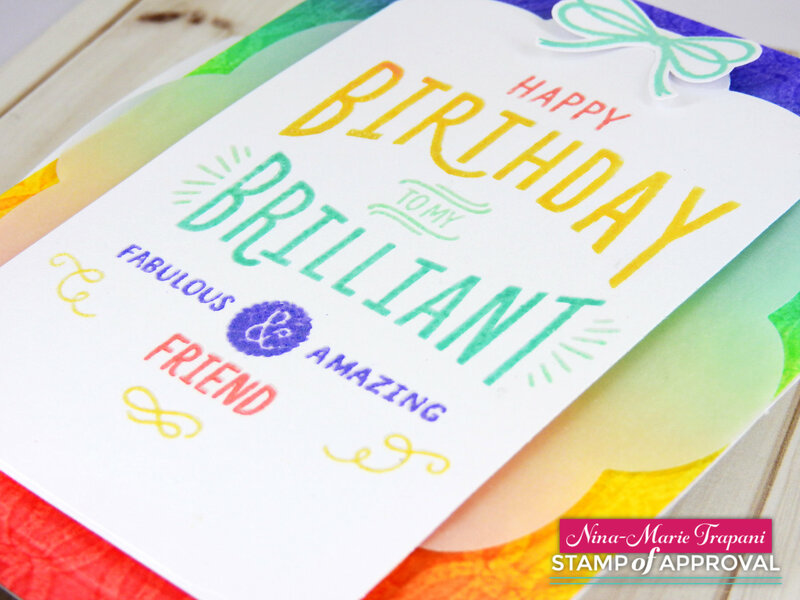 There is lots more Stamp of Approval inspiration to be had! Check out all the fabulous designers below and leave comments on EVERY stop for a chance to win this gorgeous Lovely Notes Collection box! Great cards. The watercolor circles card is my favorite. The colors are so vibrant. Love your cards! colors are fantastic! A brilliant use of primary colors! These are beautiful! Wow! Amazing cards. Thanks for sharing your creativity. I love color and I LOVE the color in your cards. Thanks for sharing your creativity! What beautiful vibrant colors. Your design is inspiring. Thanks for sharing your creativity. Absolutely gorgeous! Wow! Love those colors! Your colours on these cards are really fabulous. I think the rainbow one might be my favourite but they are all so amazing it’s hard to decide! Wonderful work. 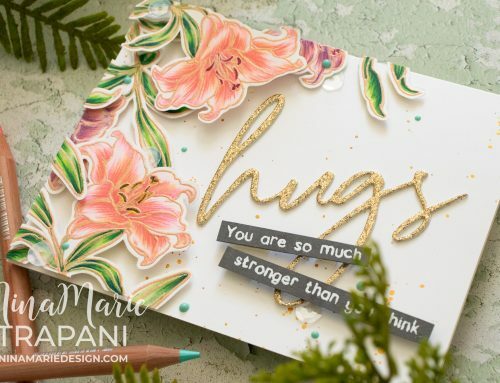 You really highlight the versatility of this kit with your beautiful cards! Simply gorgeous! Your Lovely Flowers card reminds me of my bedroom growing up. Thank you for the nostalgic refresh! 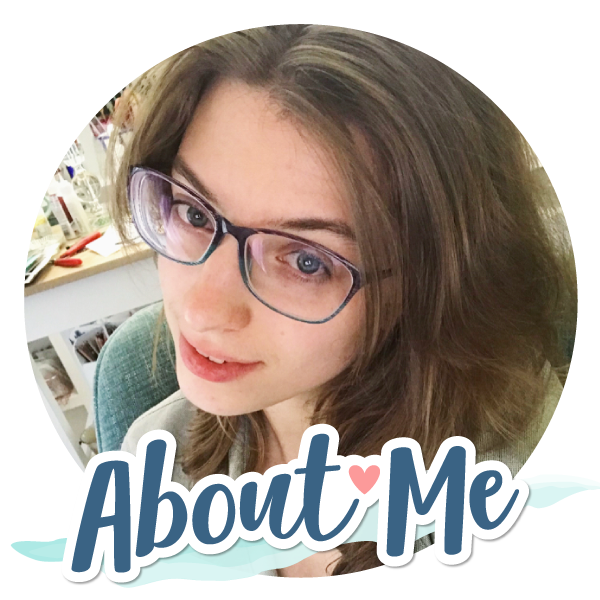 I love your use of colors, they make your cards really stand out and look so different than others using the same supplies, how inspiring! Thanks. I really like the painterly look of your designs! I love the painterly way your creations look! Love the vibrant colours and the die cut! Love the cards you made!! So excited for this collection. Gorgeous cards! I truly like your style. This collection is awesome. I can’t wait to get my hands on it! Thanks for the inspiration! Beautiful cards! They are all different but each is lovely. I especially love the cheerful colours!